I love Ken Robinson’s videos: He is entertaining and makes a lot of sense. Recently I read some criticism about him; these people thought Robinson was a lot of fluff with no substance, and some thought he was doing more harm than good because he creates a type of “caricature” around education with no real solutions. I disagree. Robinson has an important role: He draws attention to the problems in education, which he does very well, and then gives us the motivation and tools to start a revolution against the government mandates for testing. Not only does he identify the problems we have in education in this video, but he also suggests a simple solution to those problems, a solution that we already have available in this country. We just need to get enough people to voice their concerns and desires for public education. That’s where the rest of us come in. As a high-school teacher in a middle-income district, I won’t pretend to have the problems that the lower-income districts have; however, if the problems I face as a teacher are exacerbated in lower-income areas, we have a crisis on our hands. I teach honors English to freshmen students and American Literature to mostly juniors, with a handful of seniors repeating the class. Even in this middle-income neighborhood, 27% of my American Literature class failed last semester (up from 10% seven years ago). Some people may be tempted to blame me as the teacher for those failures, but let me assure those naysayers that I did everything I could to help those students, but they chose not to get the help they needed. I literally begged them with tears in my eyes to let me help them. They flat out refused my help because they have either stopped caring or think they are beyond help. Even though I didn’t have any freshmen fail, I still had a number of Ds, which was unheard of in years past. Sadly, a few of those F students dropped out of school at semester; I’m sure they had their own reasons for making that decision, but in general, school has become irrelevant for them. Both children were bright students who chose to sit in my class and do nothing, even though they were fully capable of performing every task. In my limited experiences with middle-income students, the disengaged students are getting more dominant. I am finding them in my honors classes now as well, not just regular level classes. If No Child Left Behind and Race to the Top were working, wouldn’t we see the opposite results? In some areas, 60% of kids drop out of school. There are others who are in school but are disengaged from learning. Obviously, my numbers are lower, but any percentage of dropouts, let alone disengaged students, is unacceptable. 1st, human beings are naturally different and diverse. 2nd, curiosity drives human life. 3rd, human life is inherently creative. As ridiculous as Robinson’s claim that the current culture of education is destroying these principles may seem to laypeople, I know this claim is true because I teach, and always have taught, life lessons in my classes through stories and classroom discussions. Every year I get more and more students who are starved for this type of teaching. Their ears perk up when I encourage them to be individuals; some cry when I tell them it’s okay to be different. Students stare at me in shock when I tell them I’m proud of them for asking questions because it shows that they are thinking and learning; sadly, for some, their natural curiosity has almost been destroyed. I also have students who need a lot of prompting and encouragement to find that which has been stifled for far too long: their natural creativity. I encourage doodling and out of the box thinking to solve problems, which some cannot do. Most students just want me to tell them what to do and what to think. 1st, human beings are naturally different and diverse. Education under No Child Left Behind is based on conformity, not diversity. Schools are encouraged to find out what children can do across a very narrow spectrum of achievement. One of the effects of NCLB is to narrow the focus onto the standards of things. Science and math are necessary, but they are not sufficient. A real education has to give equal weight to the arts, humanities, and physical education. Kids prosper best with a broad curriculum that celebrates their various talents, not just a small range of them. The arts aren’t important just because they improve math scores; they are important because they speak to parts of children’s being that are otherwise untouched. Thankfully, I work at and my son goes to school in a district that has all of these things, but it’s not enough. When I went to school we had Home Economics and Life Skills courses that taught us how to cook and bake, sew, take care of children, and perform everyday tasks that made our lives a little easier. What’s ironic about this is that I had close family members who also taught me these things because the nature of family was so different 30 years ago. Today, children don’t have these classes and many don’t have that type of family around to teach them those skills. If school districts have the arts, humanities, and physical education courses, some schools take away these “electives” if students perform poorly on any portion of the standardized tests. Parents should not allow schools to do that to their children. I know my son would never go to school if they took him out of art or music so he could get extra help in math and reading. I know he needs these important skills, but he is just developing slower than other students his age for various reasons. He cannot be punished for that fact by having the things that bring him joy eliminated from his education. For the schools that don’t have these electives because of budget cuts or poor standardized test scores, I can’t imagine what a grim, lifeless place that must be for students. The solution is not to take these courses away from public education, but to allow students more choices and options in life. If they are allowed to choose their own paths, they will be engaged with their education. Isn’t that the goal? We want our children to discover their talents and passions so they can become productive members of society. Next post: 2nd principle, curiosity drives human life. This entry was posted in Advice For Parents, Come Hell or High Water, Education Reformation and tagged Children, Education Reformation, Parents, Personal Calling, Purpose, Sir Ken Robinson, Students, Teaching. Bookmark the permalink. I also believe that one way to differentiate instruction is through the arts. I have written and am producing an animated video that tells the story of Maria, a high school student, for whom English is a second language and maria is disenfranchised with her school, Metropolis High. Her teacher, Ms Leblanc is having trouble with Maria who continues to fail her lessons. Maria is always using her tablet and Ms Leblanc could take it away from her in class, however, she discovers that Maria has artistic talent and that Maria is escaping into her virtual world on her tablet. So, instead of aggravating the already bad relationship, she asks Maria to help her record her lesson on the Plot Arc with the tablet and make a video out of it for the class. This pivotal moment in Maria’s life and her relationship with Ms Leblanc, transforms her into the happy, healthy, popular and successful in class person that she wanted to be. I am producing this video to demonstrate how Moviestorm, the software that I am making the video with, can be used in the classroom, to engage students like Maria, who will most likely drop out of school or be left behind to fail. Mind you my associates with whom I am making the video with and I plus one of the voiceover artists are all professionals. However, the point of the story is that students, like Maria and teachers like Ms Leblanc, don’t need to be professionals to produce animated videos with Moviestorm. We are not only suggesting that students and teachers use Moviestorm in class, but are demonstrating how the story might play out in someone’s life. 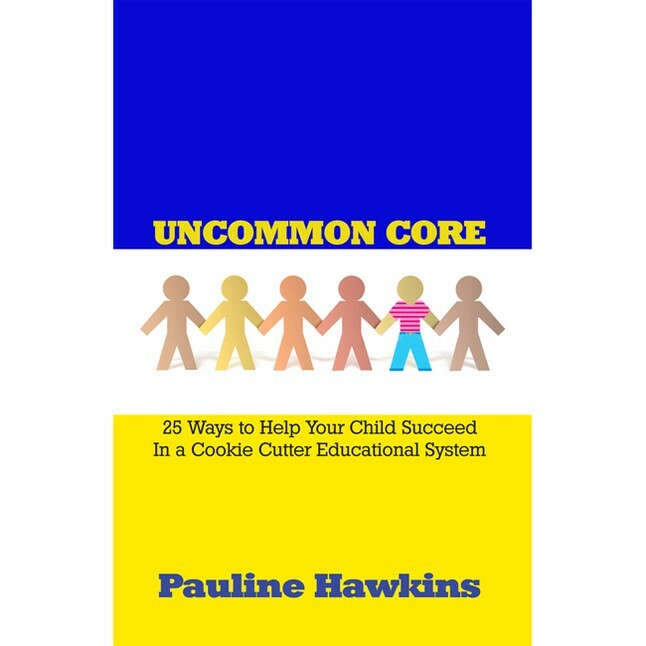 Someone like you Pauline and perhaps one or more of your students who can use some personalized creative options to express their true potential. May I suggest that you and one or more of your students get involved in my SEEd Google+ group, which I set up to host this work. Here is how, I might be able to help you reach out to you and some of your students. Maria’s story “The White Room” is a work in progress (WIP). As such, at this moment in time, it is not finished. So if you and or two of your students wanted to get involved in the production of this video, then I can offer you and or them an opportunity to do the voiceovers for some of the roles in the screenplay. I would like you to play Ms. Leblanc, we need a boy to play Ali and a girl to play Joan. Doing voiceover work is fun and easy. I can show you and your students how to do them over a Google+ Hangout. Should we be able to produce the recordings with sufficient quality, then they will be used in the video. You and your students will get your names in the credits. In this way you can be the SEEd (Scalable Engaging Education) which germinates inside your classroom that may grow into something much more profound than just the voiceover recordings on “The White Room”. Once you let your students experience the thrill of being creative, while learning digital literacy and English lessons all at the same time, there will be no holding them back. Who is your Maria? Lets reach out to her like Ms Leblanc does in our screenplay and help her reach her full potential! This is our development or phase one “The White Room” project whiteboard link. This is the link to my YouTube channel. Ralph, this is an intriguing idea! I’d like to learn more about it. I’ll take a look at your links and get back to you! Great, thanks for taking the time. Please feel free to contact me if you have any questions. There is a lot of information on the whiteboards, weeks of work have gone into them, so please don’t get overwhelmed by all the content. If you are more comfortable with a guided tour of the content, then please let me know and I will go over it with you one to one…this way you can get just the information you want without having to look through content that may not be of the greatest interest to you.